It’s no secret I recently moved, and since it wasn’t a local move, I had to get it all done in one day. It has been several years since I did so, and I forgot how stressful and expensive it was. I learned a few new lessons this time, so I’m going to share them. I knew my move-out target almost a month in advance, and I started sorting and packing about 3 weeks out. In retrospect, I should have started immediately. I don’t know about anyone else, but I definitely underestimated the amount of stuff in my little house. I donated a lot of things and gave away even more, and I’m still purging here in my new home. This means I paid someone to move things I didn’t need, so I wasted money. I was given a lot of boxes by someone who had just moved, and I regret not taking more of them. I ended up buying more boxes three times, and the movers still had to provide me with a few at a greater cost. The good news is that the truck was equipped with extra boxes, otherwise, I would have paid the crew to wait while more arrived. A great solution to making sure you have enough boxes is to buy your extras from U-Haul because you can easily return the excess ones. I got a combination from U-Haul and through Amazon. Trust me, you can’t have too much packing paper. I don’t recommend using newspaper because everything gets covered in ink and you end up having to clean it all as you unpack. Things that are very delicate might need bubble wrap, a big package is inexpensive and well worth it. So far, I haven’t found a single broken item in the things I packed myself. If you aren’t sure how to wrap things, there are videos on YouTube that will show you exactly how. At the bare minimum, label every box with the room it came from. Sometimes you will be putting things in a different room or storing them temporarily. If so, label them with the destination in your new home. I tend to write a quick list of what is in each box so I can prioritize unpacking. It’s especially helpful in the kitchen to do this…I wanted immediate access to my coffee maker and Instant Pot. In retrospect, I should have packed a few place settings with the coffee pot so I could eat right away, along with the ingredients for an easy meal. Make sure you know where the keys to the new place are! About a week before you move make sure to set up your new services. Many service providers require two business days to start service. Inquire with your current providers about transferring your account to save on deposits for new service. I moved in-state and was able to keep my electric provider, but my internet provider wasn’t available to me. You will also want to get insurance set up, but don’t cancel the old policy until you actually move out. If you are selling a house before you move, your closing might be delayed, and you’ll need the policy in place longer. Moving companies are only required to pay you $.60 a pound for damaged or lost items. I had a chair broken in my move that might weigh eight pounds, so I’d have been paid under $5. I had verified with my insurance company that my things were covered, so I could have put in a claim with them. It was the only item that was broken (thankfully), and it was exactly the amount of my deductible, so it wasn’t worth doing. While it’s rare to have a really large loss, I had a friend move across the country a few years ago and the moving truck caught on fire for a total loss. While she wasn’t able to replace her sentimental items, she was able to furnish her new place with the payout. This was the hardest one for me. I was in a constant state of stress that it wouldn’t all get done in time. As I have been unpacking, I’ve had a few moments of panic that I forgot to pack things because I have no memory of them. But I did go through the house and check for any items left behind, so I know I will find them eventually. 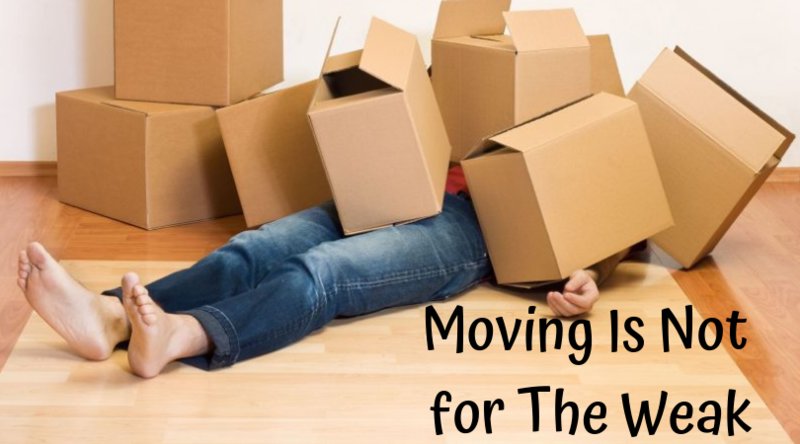 In that same vein, you don’t have to unpack everything in the first few days. While we can’t find you a mover or set up most of your services, we can help you with electric service in Texas. Simply call or email us and we’ll get back with you to make sure you get the best possible rate on electricity. And if you are keeping any of your other providers, we can negotiate those rates for you too as they might be cheaper in your new location. If you aren’t a customer yet, signing up is simple, it only takes a few minutes to create an account and submit your bills. Then our team of Savings Experts will get right to work saving you money! Visit BillCutterz's profile on Pinterest. Join thousands of people who have saved money on their monthly bills. Want to learn tons of ways to save money? We'll send you the latest money saving tips and tricks right to your inbox. Don't worry! We won't share your information.